The past few weeks Jay and I have been trying really hard to spend a lot of time outdoors. Of course, there have been times we were stuck inside: like when the whole of our little family was puking and sick and Charlie had bronchialitis, or when we were just so tired we needed to collapse on the couch. We have, though, made quite the effort to be outside. Sometimes I feel bad for Jay. When we were dating I was depressed, so I didn't get out as much as I would have liked. Now, I am back full force and during the summer I constantly want to be outside. It's not that Jay doesn't want to be outside, he loves being outdoors too. He just doesn't have the stamina I have. Plus, he has allergies that plague him every time we go into the mountains and a few weeks afterward. He's awesome to go out with me almost every time I suggest it, though. We've been doing a lot of hiking this summer. We are preparing to go to hike up the back side of Timpangos, one of the hardest hikes I've been on. So, every weekend, or at least that's the goal, we've gone hiking. Charlie gets to come along on most of our hikes. He has a nice red backpack and it is really fun to take him. The photo opportunities on a hike are gorgeous, too. The downside is that Jay has to lug him and the backpack up the mountain, and its heavy. 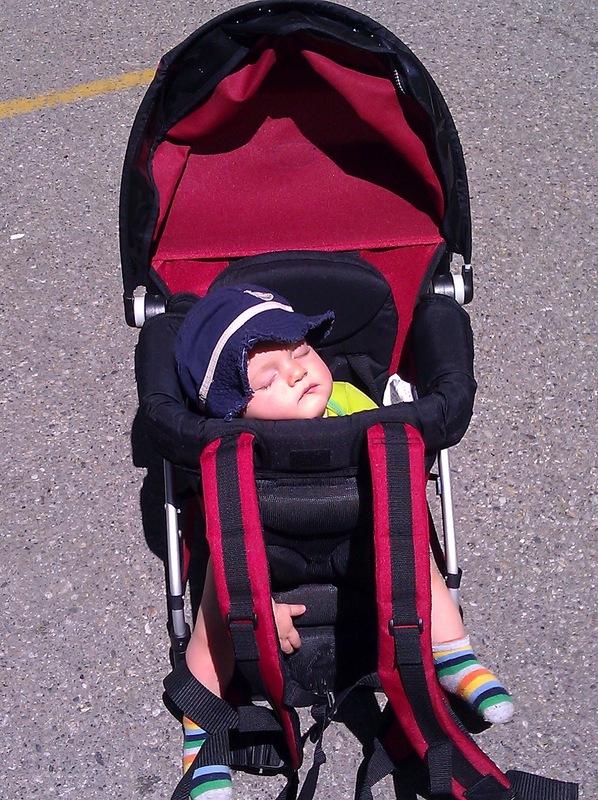 Jay, understandably, gets a little grumpy from time to time on our hikes mostly because that carrier wears him out. Well, like I've told him, think about how easy Timp will be without Charlie on his back. Charlie is definitely not going on that one. We're going to go on a very steep hike this Saturday, Mt. Aire, so he will not be coming then either. Poor Charlie. Oh well, I doubt he really cares all that much. Gabby, on the other hand, would be heartbroken if she were left behind. She loves hiking, and Millcreek is great because she's allowed off of her leash on odd-numbered days. I am a little worried about taking her up Timp, though, because she's started really dragging at the end of these short hikes, and limping a bit. Poor girl, she's getting old. She's 6! Wow! I just love getting outside and smelling the air. When we went to Dog Lake this last Saturday it had just rained and it smelled beautiful. I love that piney smell! Well, we haven't been fishing much. I think we're tired of failure. Jay did manage to catch a rainbow trout this year. Yay! Surprisingly enough, with all of this outdoor time, we've only been camping once so far this summer, and that was clear back on Memorial Day. This makes me incredibly sad, because I LOVE camping. We have a couple of camping trips planned for the end of the summer, though. We've all just been kind of sick whenever the opportunity presents itself. Charlie has had a cold all summer, or so it seems, and we just keep thinking about how miserable he was at night when we went camping over Memorial Day Weekend. Well, it has warmed up, so its time to camp!